History and background of Gucci. Born in 1881, craftsmans son Guccio Gucci founded the House of Gucci as a saddlery shop in Florence in 1906. Guccio's first talent was his craftsmanship in leather goods. He started out selling leather bags to horsemen in the 1920s and progressed to luxury luggage as his clients graduated from equine transportation to horseless carriages. Born in 1881, craftsmans son Guccio Gucci founded the House of Gucci as a saddlery shop in Florence in 1906. Guccio's first talent was his craftsmanship in leather goods. He started out selling leather bags to horsemen in the 1920s and progressed to luxury luggage as his clients graduated from equine transportation to horseless carriages. In 1938 Guccio Gucci opened their first retail shop on the Via Condotti in Rome. In 1947 the immediately recognizable Gucci icon, the leather bag with bamboo handle, is created. During the 1950s the trademark red striped webbing is introduced, taken from its original form place on a saddle girth. This became an emblem much as the leather moccasin with leather bit. Guccio Gucci created many of his classics early during the 1950s; products such as luggage, ties, shoes, and the famous handbags sporting the bamboo handle. After his death in 1953, his family was able to take the enormously successful company to new heights by opening stores in Paris, Beverly Hills, London, Palm Beach, and Tokyo. The 1960s brought increased fame to the Gucci Empire. Such Hollywood stars as Grace Kelly, Peter Sellers and Audrey Hepburn made the name Gucci synonymous with chic. Jackie Kennedy helped by being photographed with the Gucci shoulder bag, which subsequently became known as the Jackie O. The company adopts the GG logo. But with the fame and recognition of the brand name came some turmoil. While Gucci goods were considered a status symbol of the times, management and inner family seemed to disagree. Brother Maurizio Gucci took an apparently ailing business over from his founding brother, who in turn sold it to an Arab concern in the 80s. 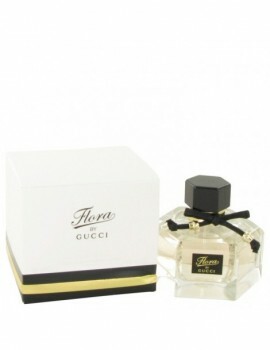 In the 1990s, Tom Ford, Guccis newest executive head, has brought Gucci back to the center of chic, and now commands a varied line of products including leather fashions, perfumes, colognes, cosmetics, shoes (including the moccasin with the distinctive Gucci snaffle-bit), the "Flora" foulard created for Grace Kelly by Rodolfo Gucci, suitcases, watches, jewelry, silk scarves, sports articles, belt clasps (the one with the Guccio Gucci initials, was introduced 1964), ties, and eyeglasses. 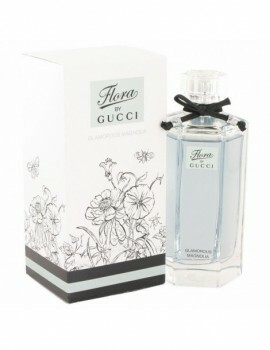 Inspired by the iconic gucci scarf , this is a light hearted and young spirted floral fragrance for women . 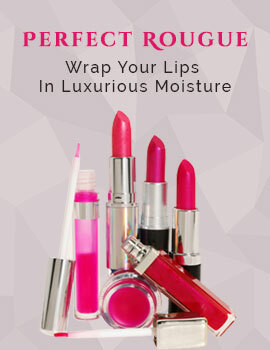 Top notes include citruses and peony, the heart is a gorgeous bouquet of rose and osmanthus. Base notes are patchouli and sandalwood. This frargance is the second under the creative supervision of gucci's creative director frida giannini. Inspired by the iconic gucci scarf , this is a light hearted and young spirted floral fragrance for women. Top notes include citruses and peony, the heart is a gorgeous bouquet of rose and osmanthus. Base notes are patchouli and sandalwood. This frargance is the second under the creative supervision of gucci's creative director frida giannini.